iSwype Cydia Tweak Updated To Include Path Tracing And More! iSwipe Cydia Tweak Updated To Include Path Tracing And More! A few days ago we told you that developer Andrew Liu (@WyndWarrior) has decided to port Swype to the Jailbreaking community. He is currently beta testing Swype for iOS iDevices which he calls iSwipe. In the initial release of iSwipe things were pretty limited. There were quite a few stability bugs and no path tracing (the line following your swyping). In a recent update by Andrew, however, things are looking much better. There is patch tracing, stability seems to be improved and accuracy seems to be improved also. 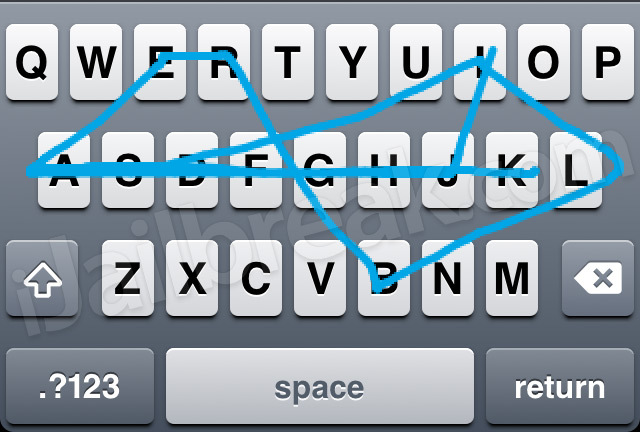 If you are still unsure of what Swype is and how it works we suggest your read our previous post. Not while it has a keylogger built into it. :( What’s up with that? I will, but I’ll probably wait until it gets more stable. All I know is I installed ver 1. It was very buggy, but we expected it. The update came out, so I looked at the specs to see what was updated, and it didn’t show that info. So I clicked the install option. When you do that, it shows what/anything else is being installed, and the name of the dev’s advertised key logger app was listed, so I didnt install, I uninstalled everything. When I installed ver 1, I looked to see what else what made by this dev. That’s why the app for the key logger was familiar to me. Not trying to cause grief here, I just don’t want to put that on my idevices if I can help it. Now it doesn’t show it, and the link to other apps by same dev is gone. ?? Weird. I’m hoping this gets ironed out. Would be a cool app. will wait for it to get a stable version. tried the beta and it’s buggy especially the stroke mapping. I’m definitely using it! I’ve been using the iSwipe port for iOS devices for a few days now and I have to say it works pretty well. Aside from the fact that you have to add words to the dictionary for iSwipe it works great. I’d recommend inputting words you use frequently into the iSwipe dictionary before you give it a go to avoid raging. A lot of words require input into the iswipe dictionary (method of input is an app that comes with iSwipe). Other than the input there’s really no problem (that I’ve noticed at least) with iSwipe.